Combining the LID Controls and the LID layers per control is shown in the following Figure. 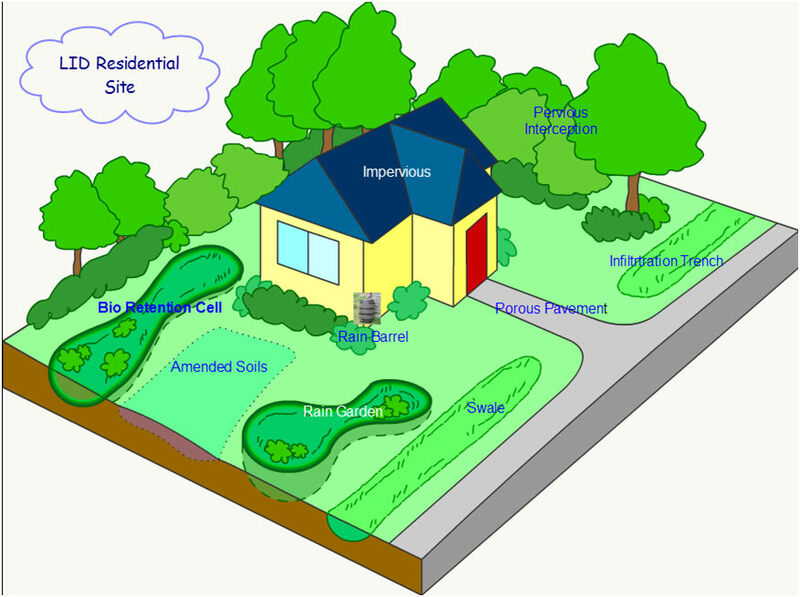 LID Connection to the Subcatchment Processes for Pervious and Impervious Areas. 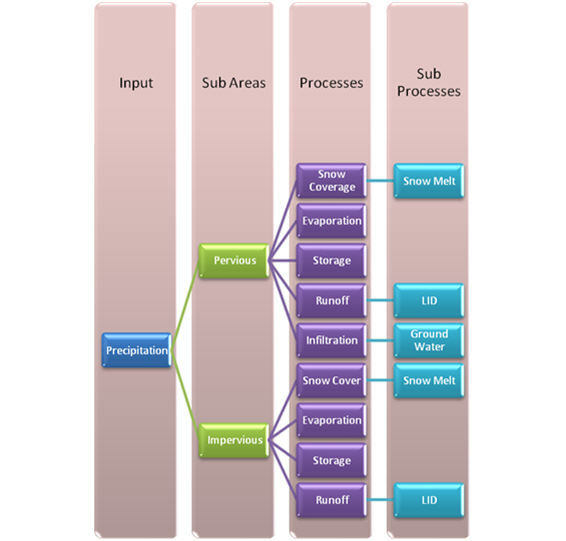 There are seven Types of LID Controls possible per Subcatchment. The number of controls are unlimited. 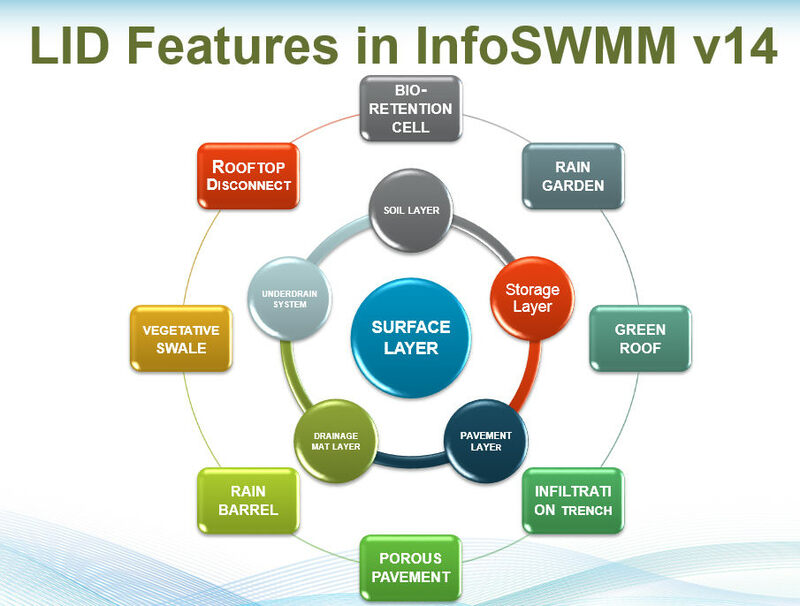 Fourteen Controls in InfoSWMM Sustain.